It is a remarkable product that displays each user account within a network. One can select between different mailboxes and items to save as a file on Windows desktop. It can be used to extract complete folders of emails, contacts, calendar, journal, notes etc. to MSG format. It even recovers priv.edb and pub.edb from high-level of corruptions. Choose selectively to move emails, contacts, calendar, notes etc. There is another facility to remove high-level of corruption from a .edb file using the 'Advanced Scanning' mode. The program is designed to repair EDB file and restore mailbox data on Windows Server and PC. It enlists all the user accounts with recovered items within a network. 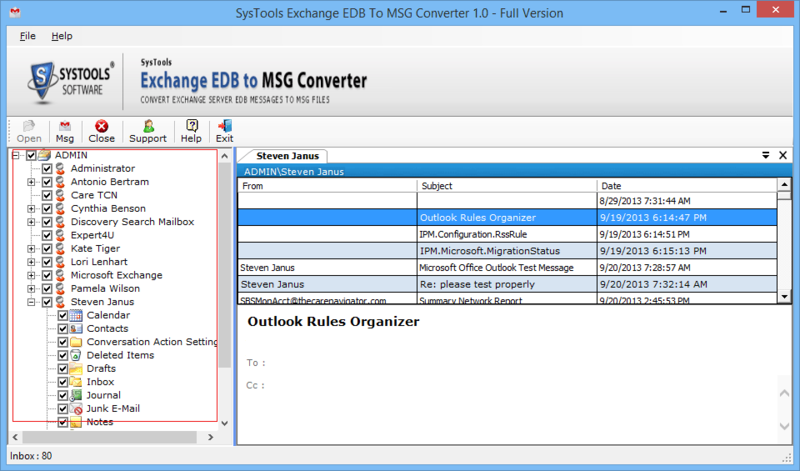 One can extract and save emails, contacts, calendars, journals, notes to MSG files from an Exchange database. There is an option available to choose between user folders to move to .msg format. This can be done by checking a box before each from within the software preview. After the migration, a complete report is generated in three tabs: 'Pending', 'In Progress' and 'Completed'. It displays the current status of migration with item count of each account. 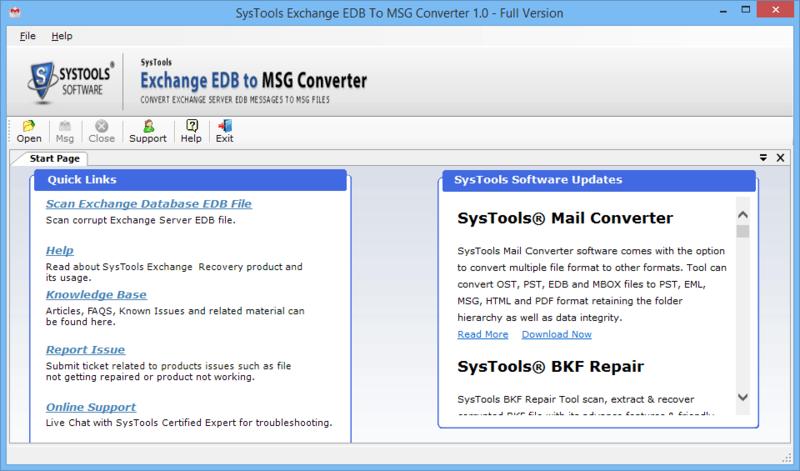 Is Windows 64-bit supported by the tool to repair EDB file to MSG? Yes, the application is compatible with all the latest Windows 10/8/8.1/7/XP and earlier versions. It supports both 32 and 64-bit machines. Can I export Exchange contacts from multiple user accounts to .msg files? Yes, there is a facility available to select between different data items to move to MSG format. This includes extracting and saving just contacts from Exchange database to file. Is there a way to migrate complete mailbox data from a corrupt EDB File? Yes, the software is designed to remove any corruption or damage from a .edb file. It fixes the Exchange database to recover user account data which can be later exported to MSG format. "This is a very effective product. I tried the free version for personal use and immediately bought it for my business. 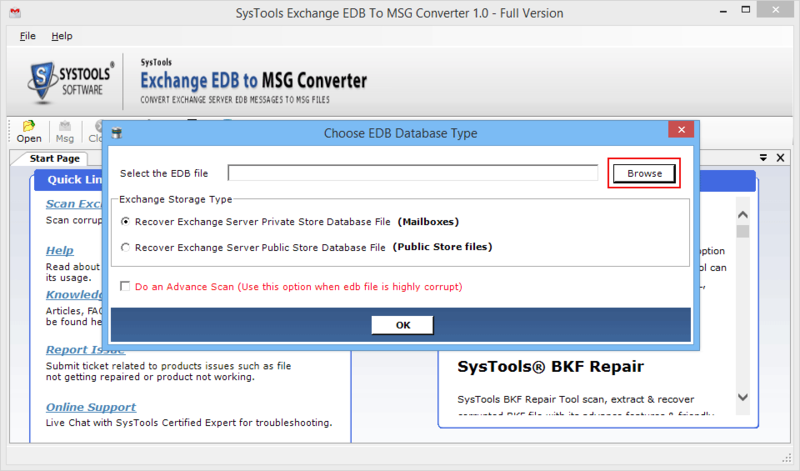 It has helped me to recover Exchange 2003 EDB file which was inaccessible to us. It helped us migrate unlimited data from the server. It is fast, user-friendly and cost-effective." "We were having EDB file corruption issue and were looking for solutions online. One of the sites suggested this tool and we tried it. It recovered multiple mailbox data in no time. It helped us save time and money from implementing unreliable manual methods or hiring professionals to do this task. 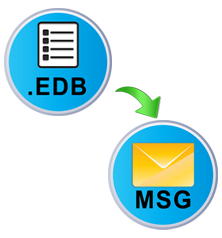 The Exchange EDB to MSG is a must-have for all having similar problems."